Have you ever wondered about the future? How will you survive and thrive in a world that is changing exponentially? How will you live the life of your dreams on a planet whose population is increasing, whose landmass is decreasing, whose natural resources are almost depleted, and whose food and water supplies are becoming less than adequate? How will you still succeed? How will you raise children who can make a diff erence? How will you lead organisations and inspire people to be the best versions of themselves? These are not the problems for business, governments and scientists to come up with solutions for: we each have a role to play. 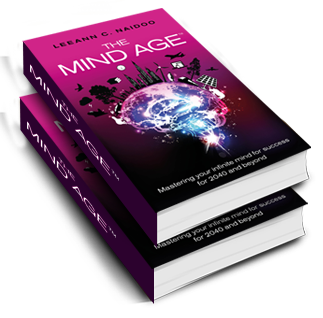 Who is this book for?Irrespective of which generation you belong to, the Mind Age™ starts now. If you or your children plan on being a part of the future business world, and are concerned about the changes that are expected in the world, then you should read this book; if you are not concerned about the changes expected in the world in the next few decades, then you must read this book! 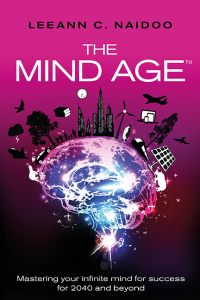 An excellent read, providing a sober reminder of what is to come in the near future and how best we harness the power of our minds to prepare for the challenges ahead, with a good sprinkle of practical tools and a framework for the change required in each of us to survive in an ever changing world. Leeann takes a people-first, hands-on approach to her projects – in particular in the Change Management area. As one of our leading proponents of true transformational change, she shaped the Consultancy firm’s Methodology for Change Management – an approach that is still used widely to this day. In her change projects she leads from the front, rallies her team, and gets real sustainable change for her clients. Leeann has a very individual style that is impressive to work with. Her mix of meticulousness, directness, and excellent challenge, which makes people feel empowered in their work, was unique when I worked with her. She applies the same style with each of her clients and teams – there is no ambiguity. Her work with various internal and external leadership teams has been a huge focus for Leeann and one of her chief competencies. She understands precisely how the complex needs of Boards need to be served and does this in a way that engages those teams early, gets to grips with the underlying stakeholders, and allows each board’s needs and the project needs to be fulfilled. In areas of strong challenge and negotiating through political sensitivities, Leeann is an expert. In each role, Leeann acted not only as my Director, but also as a fantastic Coach – both to myself, and our teams. They were very different individuals, often with complex needs, differing levels of maturity and experience, even for experienced hires new to consulting. For myself, and with others, Leeann was the consummate professional coaching and guiding us through projects with multiple unknowns, often with political sensitivities amongst people we were dealing with, and often with sensitivities around what we were ultimately delivering in the HR arena. Using the TGROW model, Leeann also personally coached me through several big career changes I needed to make – all with successful outcomes. I’ve seen this have great positive effects with graduates experiencing personal and professional difficulties, client teams that have become insular and demotivated threatening the success of a project, and where senior executives have come to loggerheads about the strategic direction of a project. Should you wish to verify this reference, please do not hesitate to contact me on dwarne0@gmail.com. Leeann has a truly rare skill set. Not many people have the ability to blend coaching skills, strategic thinking and project management in such a way as to deliver a huge amount whilst leveraging the talents of others. I’ve worked alongside Leeann on multiple projects and can say that she’s one of those people who you ALWAYS want on your team for what she brings. She is a truly exceptional thinker. Her questioning mindset and refusal to settle for the simple, most obvious answer means that the advice she offers will stretch your thinking and delight those looking for truly innovative and radical solutions. That said, I heard a speaker who talked about the value of “having your head in the clouds AND your feet on the ground”. Leeann practices this naturally, merging high-brow, innovative thinking with a practical “how does that meet reality” mindset. Combine this with her clear, measured and altogether human style of communicating and she makes for a very powerful Coach and Trusted Business Advisor. Leeann has been seminal to the construction of one of the largest deals this year encompassing Business Process Outsourcing / Technology Services and Consulting (£183Million). This deal would not have happened without Leeann. She is lionised by the client and is a leader in this multidisciplinary project. She is central to this project and is a pleasure to work with. I’ve known Leeann since 2008 and have worked closely with her in 2011 in the Middle East. She has a very personable style and is able to strike a perfect mix between professional and personal rapport. It was refreshing to be given the opportunity and time to jointly discuss issues and develop solutions in this coaching-based relationship. It was a truly collaborative experience. Leeann is an excellent motivator. She fosters a positive work ethic and is effective at drawing out the best in people. She helped me significantly with coaching me for my fast-track promotion to Senior Consultant – this entailed ensuring that my business case, presentation for the promotions panel and my personal confidence was aligned. I was successful in my accelerated promotion! I would highly recommend Leeann as both a Career Coach and Management Consultant. Leeann is an excellent professional. She is an expert coach and knows how to ‘translate’ knowledge into frameworks, proposed directions and specific measures, taking the target audience into account. She is flexible, supportive and is pushy on being specific in next steps, just to keep the ball rolling. She is creative and brings in new perspectives on the topic. She is also polite and a little bit modest. However this observation could have arisen because of my Dutch background, in which I meet many not too modest consultants. Leeann, thanks for your help and guidance. It was a pleasure to work with you. Download your free support pack now! MBA qualified, with strong business acumen, Leeann is a Management Consultant – a specialist in Change – an Executive Coach, key note speaker, and lecturer, with 20-years of international experience, the last 15 of which have been with blue-chip consulting firms such as Deloitte, Capgemini, PricewaterhouseCoopers and EY. Her recent client engagement experience spans major banking institutions, public and private sector organisations in the UK, Europe, the Middle East and South Africa. Since her return to South Africa, Leeann has started her own company called Concordia Coaching & Consulting – see www.concordia-coaching.com, where she consults on a variety of change programmes across large corporates and small businesses, she provides executive coaching, lectures and consults for and at 2 of South Africa’s top 3 Business Schools. She designs and delivers Leadership and Management Development programmes for corporates. As an internationally accredited coach with the IIC&M, with over 6,000 coaching hours, Leeann also specialises in neuroscience-based Executive Coaching. She runs an International Coaching magazine, which is available in over 20 countries. 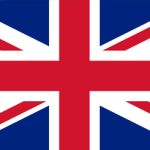 See www.international-coaching-news.net. 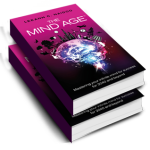 Welcome to the Mind Age™ blog! 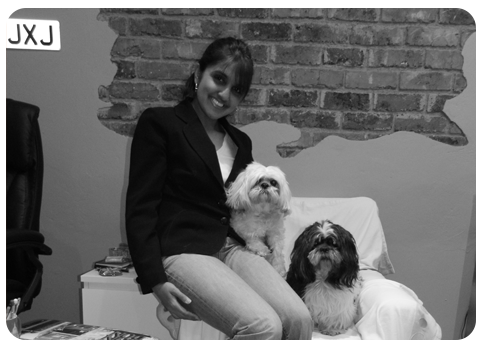 I am Leeann C. Naidoo, a 40-year old woman, now residing in South Africa, who is passionate about facilitating sustainable personal transformation in an accelerated way using neuroscience principles in my talks, master classes, workshops, development programmes and coaching interventions.